What is ‘Source’ in Google Analytics? 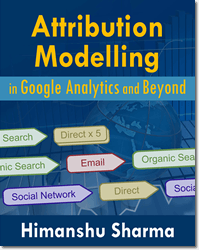 What is ‘Medium’ in Google Analytics? 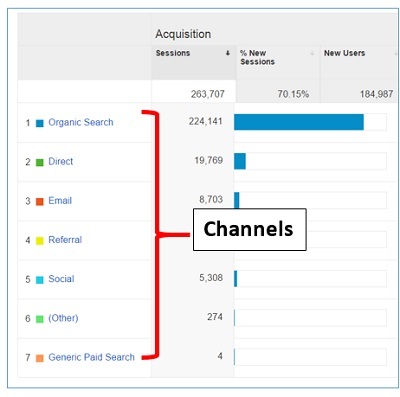 What is ‘Campaign’ in Google Analytics? 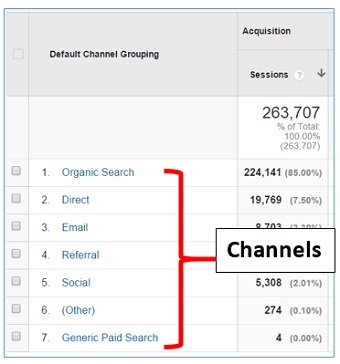 What is a Channel (or a Marketing Channel) in Google Analytics? What traffic sources and medium, really are. 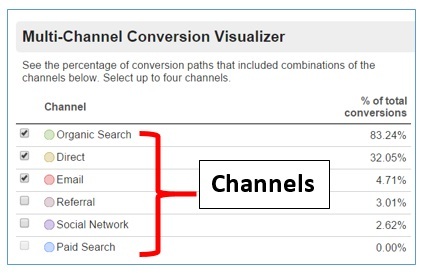 What are channels in the context of Google Analytics. How Google defines: organic search traffic, paid search traffic, direct traffic, email traffic etc. 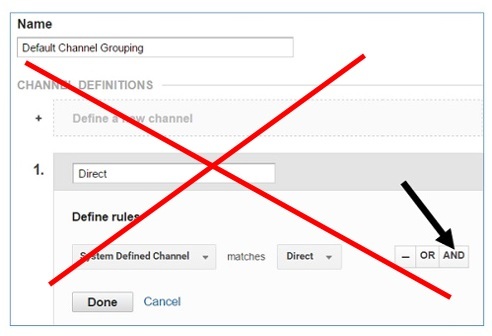 How to change the definition of a default channel like ‘direct’. How to create a new marketing channel. 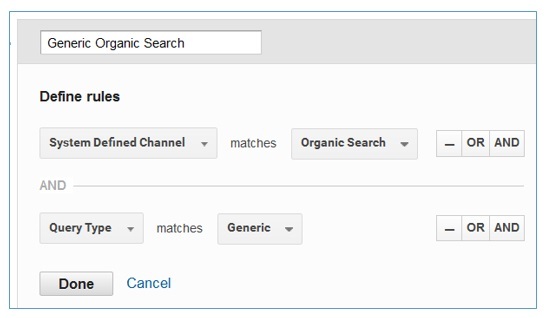 How to create ‘generic’, ‘branded’ and ‘unknown’ organic search channels. 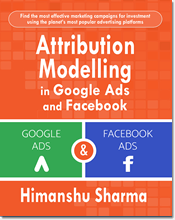 However in order to understand the various Acquisition reports and the users’ acquisition in general, you need to understand what channels really are and how they are defined in Google Analytics. Without adequate knowledge of channels, you can’t accurately interpret the various Acquisition reports in GA and consequently your acquisition strategy. In order to understand channels, you first need to know about various traffic sources, medium and campaigns. Source (or traffic source) is the origin of your website traffic. It also includes traffic sources tracked via utm_source parameter. In case of tripadvisor / referral, ‘tripadvisor’ is the traffic source. Note: In Google Analytics, ‘source’ names are case sensitive. 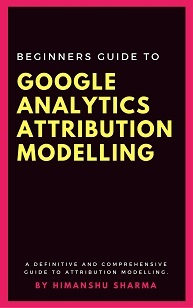 So ‘google’, ‘Google’ and ‘GOOGLE’, are all treated as different traffic sources in Google Analytics. Medium (or traffic medium) is the category of the traffic source as defined by Google. It also includes traffic medium tracked via utm_medium parameter. In case of google / organic, ‘organic’ is the medium. In case of tripadvisor / referral, ‘referral’ is the medium. Note: In Google Analytics, medium names are case sensitive. So ’email’, ‘Email’ and ‘EMAIL’ are all treated as different medium in Google Analytics. Campaign is the name of your Google Adwords campaign and/or custom campaign. A custom campaign is that marketing campaign which has been tagged with campaign tracking parameter ‘utm_campaign’. 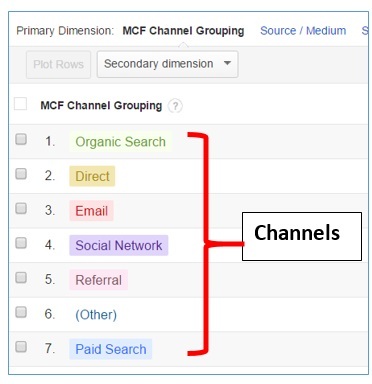 In Google Analytics, a channel or a marketing channel is a group of several traffic sources with same medium. 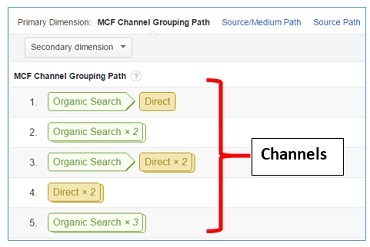 Default marketing channels are pre-defined (or system defined) marketing channels in Google Analytics. Organic search marketing channel can be made up of any number of traffic sources as long as the medium of the traffic sources is ‘organic’. Paid search marketing channel can be made up of any number of traffic sources as long as the medium of the traffic sources is ‘CPC’, ‘ppc’ or ‘paidsearch’ and Ad Distribution Network’ does not matches ‘content’. Display marketing channel can be made up of any number of traffic sources as long as the medium of the traffic sources is ‘display’, ‘cpm’ or ‘banner’ and ‘Ad Distribution Network’ matches ‘content’. Direct marketing channel can be made up of any number of traffic sources as long as the traffic sources are unknown to Google Analytics. 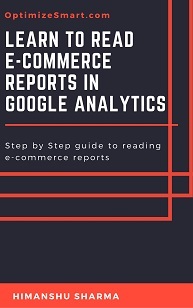 Whenever a referrer is not passed or is dropped because of technical reasons, Google Analytics is not able to determine the traffic source and the traffic is treated as direct traffic by Google. In that case, GA sets the traffic source to ‘direct’ and medium to ‘none’. 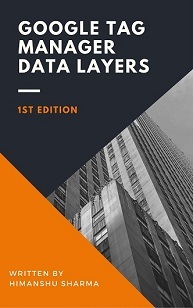 For example, in case of traffic coming from: microsoft word document, instant messenger (like skype) or a mobile app, the referrer is not passed and hence Google Analytics is not able to determine the source of the traffic. Because of that, all such traffic is treated as direct traffic by Google. 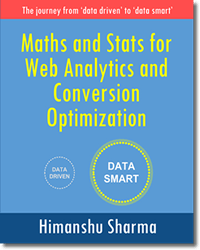 And off course, if a user is visiting a website directly or via a bookmark, that traffic is also treated as direct traffic by Google Analytics. Referral marketing channel can be made up of any number of traffic sources as long as the medium of the traffic sources is ‘referral’. Social marketing channel can be made up of any number of traffic sources as long as the medium of the traffic sources is ‘social’, ‘social media’, ‘social-media’, ‘social network’, or ‘social-network’. #3 linkedin / social network etc. Email marketing channel can be made up of any number of traffic sources as long as the medium of the traffic sources is ‘email’. Note: The medium (not set) means, a user didn’t set the medium for his custom campaign via the utm_medium parameter. Here ‘linkedin’, ‘community’, ‘newsletter’ and ‘word-document’ are user defined medium and hence they have been put under the ‘other’ marketing channel category by Google. 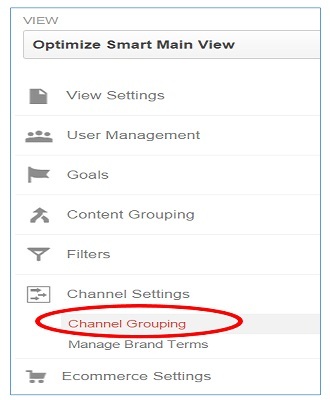 Step-1: Navigate to the ‘Admin’ section of your main view in Google Analytics. GA display this warning message for a good reason. Any change to the definition of default marketing channels, permanently change how the new traffic is classified. However the historical data will not be affected. So avoid changing the definition of default marketing channels unless you are absolutely sure what you are doing. Step-4: Let us suppose you want to change the definition of direct traffic. You want the traffic coming to your website from your other website (say xyz.com) to be also treated as direct traffic by Google Analytics. the traffic comes from my other website (xyz.com). Since this condition will always evaluate to false, GA will stop recording ‘direct’ traffic. Whenever you are editing a default marketing channel, you need to be careful with the use of ‘AND’ button . 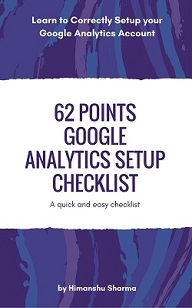 Its wrong use can easily skew your analytics data for good. These ‘OR’ and ‘AND’ buttons work just like the logical operators OR and AND. Step-7: Click on the ‘Done’ button and then on the blue ‘Save’ button at the bottom. 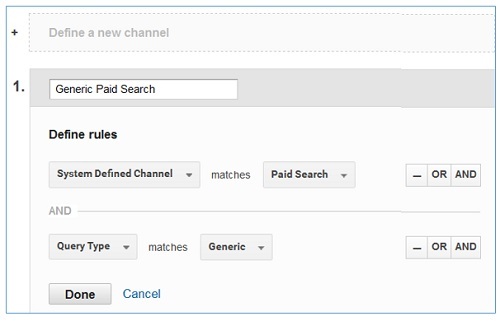 That’s how you can change the definition of a default marketing channel in Google Analytics. 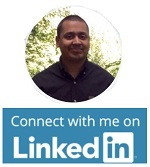 Custom marketing channels are user defined marketing channels. 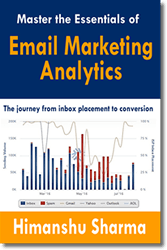 Here I have created a new marketing channel to track traffic from my newsletters campaign. If you want to add more than one rule then click on the ‘OR’ or ‘AND’ button. These ‘OR’ and ‘AND’ work just like the logical operators OR and AND. 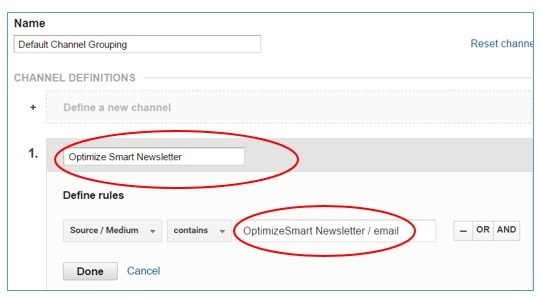 That’s how you can create a custom marketing channel in Google Analytics. ‘Generic’ paid search channel record the traffic coming from non-branded keywords (also known as generic keywords) to your website via search engines. By setting up generic paid search channel, you can get a better understanding of the performance of generic search keywords in terms of driving traffic and sales to your website. ‘Branded’ paid search channel record the traffic coming from branded keywords (search terms which include your brand name) to your website via search engines. By setting up branded paid search channel, you can get a better understanding of the performance of branded search keywords in terms of driving traffic and sales to your website. ‘Unkown’ paid search channel record the traffic coming from not provided keywords to your website via search engines. By setting up unkown paid search channel, you can get a better understanding of the performance of not provided keywords in terms of driving traffic and sales to your website. 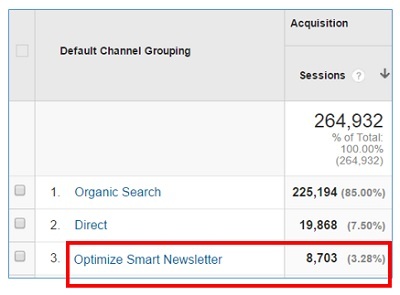 Step-1: Navigate to Acquisition > All Traffic > Source / Medium report in your main view. Step-3: Filter all of the branded keywords (including mispellings) and download the data into excel. 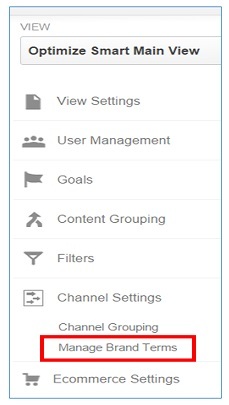 Step-4: Navigate to the ‘Admin’ section of your main view in Google Analytics. 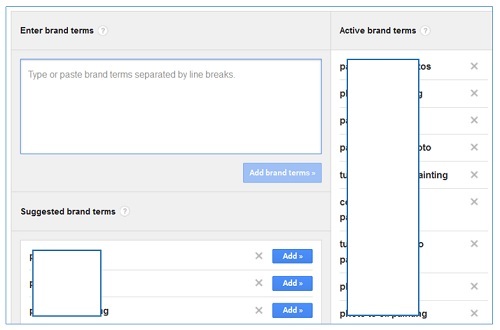 The added brand terms will appear under the column labelled as ‘Active brand terms‘. 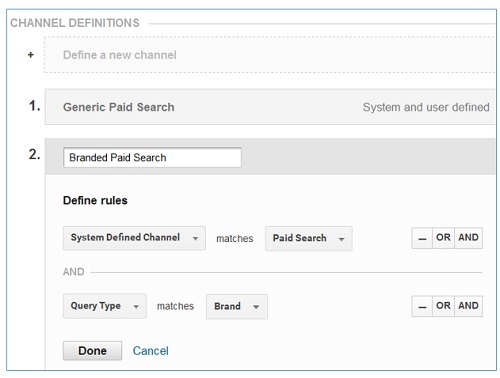 By looking at these definitions, you will get an idea of how to create ‘Unknown Paid Search‘ channel. Because of not provided keywords, there are many keywords which can not be categorized as either branded or generic. 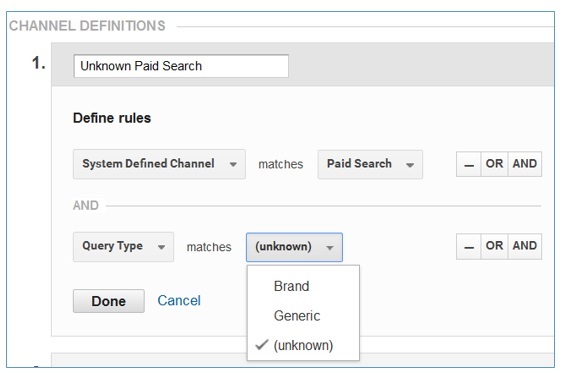 In order to understand the performance of these keywords, we need to create a new channel called ‘Unknown Paid Search’. 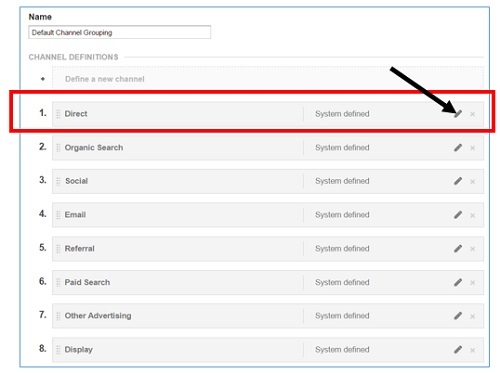 Note: Make sure that Brand Paid Search, Generic Paid Search and Unknown Paid Search channels are above the default Paid Search channel in the Channel Definitions list. ‘Generic’ organic search channel record the traffic coming from non-branded keywords (also known as generic keywords) to your website via search engines. 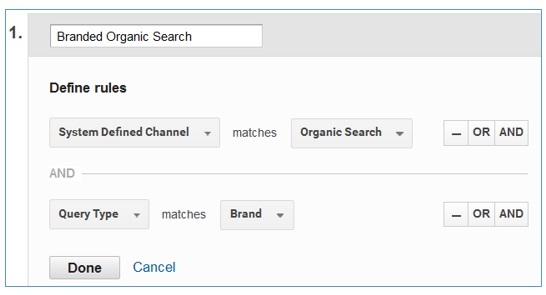 ‘Branded’ organic search channel record the traffic coming from branded keywords (search terms which include your brand name) to your website via search engines. 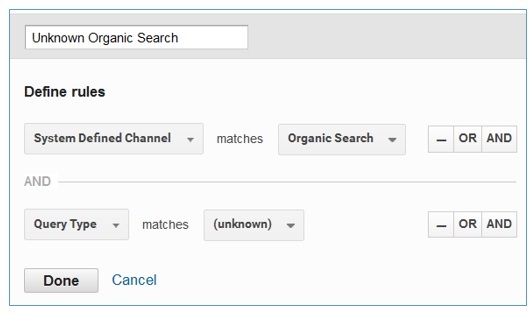 ‘Unkown’ organic search channel record the traffic coming from not provided keywords to your website via search engines. 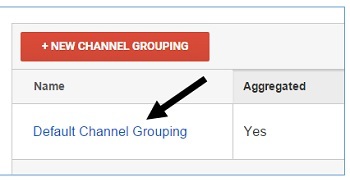 Step-3: Click on the ‘default channel grouping’ link.